It is better to add the roof check in the maintenance schedule whether you own a house or a commercial building. But after heavy rains, the case goes a bit exceptional. You may witness many minor or major damages after the stormy and heavy rains. It is good to do the roof check after the down pouring to prevent your building from the damage. If neglected it becomes costly for you. Your house might not completely damage by the leaks therefore to check the major affected part you should do a detailed inspection. 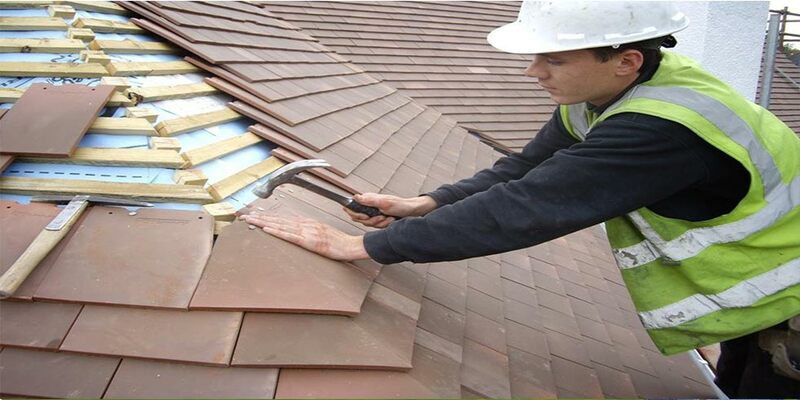 If you want to hire a professional you can do so as they have the most appropriate equipment and experience to find the leak problem of the roof. The most obvious sign is the appearance of water stain on the ceiling. You can guess the cause through these stains. If the stains are below the plumbing fixture then these are the possible culprits. The storeroom or any other closed room produces the musty smell usually due to high moisture but if the smell becomes more identifiable after the rain, your roof requires a check as soon as possible. When the water stains do not appear, this smell is the leak indicator. The water stains on the walls or the ceiling may be due to any plumbing problem as any of the water pipe gets hit by the rains. Call the professional in this case without any further delay. We often ignore it but this fact should not be neglected that constant water leaks make your house weak and damage the insulations which will put a huge burden on your budget when you finally decide to repair it and endanger the lives too. When the insulation seems flat or tangled, it means damage. Internal wiring and insulations are more prone to non-reversible damage and in most of the times, you have to completely replace with the new which takes time and your peace of mind. Vents are crucial for the houses to maintain a flow of the air. It keeps fumes, smoke and warm air out and keeps the house with fresh air circulated. After the rain stops, check for the partially damaged or the completely detached vents. In which ways roof leaks are dangerous? Roof leaks for long times skyrocket the risk of roof collapse at the severe. The structure of the whole building becomes weak which also put every other thing as electrical, heating, cooling and ventilation system in danger. Keeping the property maintained saves you from repairs before time and keep you safe from any catastrophic situation. Alotechnical is the maintenance company in Dubai-UAE. The satisfactory services provided depict high-quality services. The professionals reach your place in time either you want plumbing, electrician, carpentry, handyman or painting service. The services can be booked through call or directly from the website.